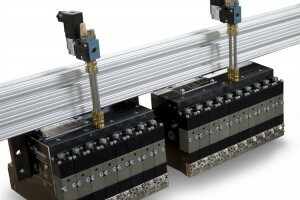 Ultra™ is a modular hot melt applicator platform, designed for precise adhesive deposition at highest line speeds. 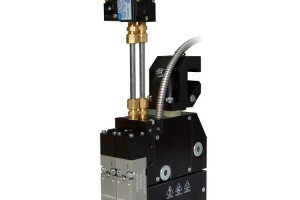 Ultra™ is a modular hot melt applicator platform, designed for precise adhesive deposition at highest line speeds. The advanced Ultra™ SCS nozzle technology delivers precise adhesive deposition with exceptionally-low variability for elasticized legs, leg cuffs and waist bands resulting in increased line speed, reduced adhesive consumption and better consistency in patterns. With ITW Dynatec's patented Omega™ and Random Fiber patterns, the UFD -HS™ applications heads provide up to 70% adhesive savings by using less glue while maintaining if not improving bond strength. The Vector™ spray applicator is engineered for precision application onto a variety of substrates with metering accuracy of up to ±0.5% every 25mm in width. 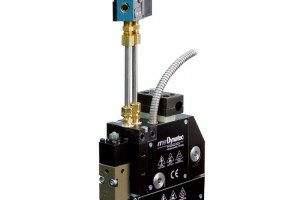 ITW Dynatec’s Equity Line MR1300 UFD Spray Applicator Heads are air operated, multi-module hot melt adhesive applicator assemblies with integrated basket filters designed to prevent particulate matter from obstructing adhesive flow. 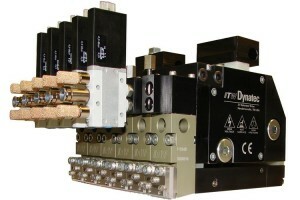 The stackable UFD applicators are modular and may be combined to produce segmented applicators of 1 to 200 ports. 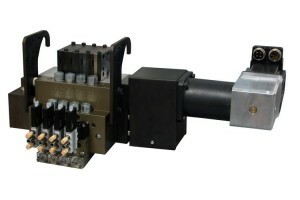 DeltaFx™ fiberized spray applicators provide exceptional value and flexibility for wide adhesive lamination. 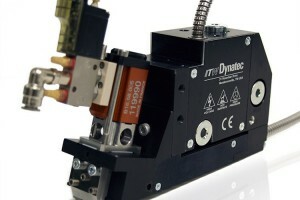 DeltaFx™ fiberized spray applicators provide exceptional value and flexibility for wide adhesive lamination. Using the ITW Dynatec patented Laminate Plate Technology, DeltaFx™ provides an easy-to-use and maintain Non-Contact Application System. An excellent choice for a number of applications where speed, versatility and durability are required that works with all types of hot melt adhesives including PUR Hot Melts.